Every day new and better technological products are invented. In 2008 the first Android phone went on sale, 10 years later, we are surprised to know to what extent the technology has arrived. 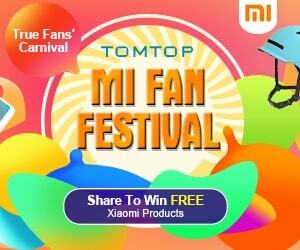 In this opportunity, we will talk about a phone that has caught our attention. 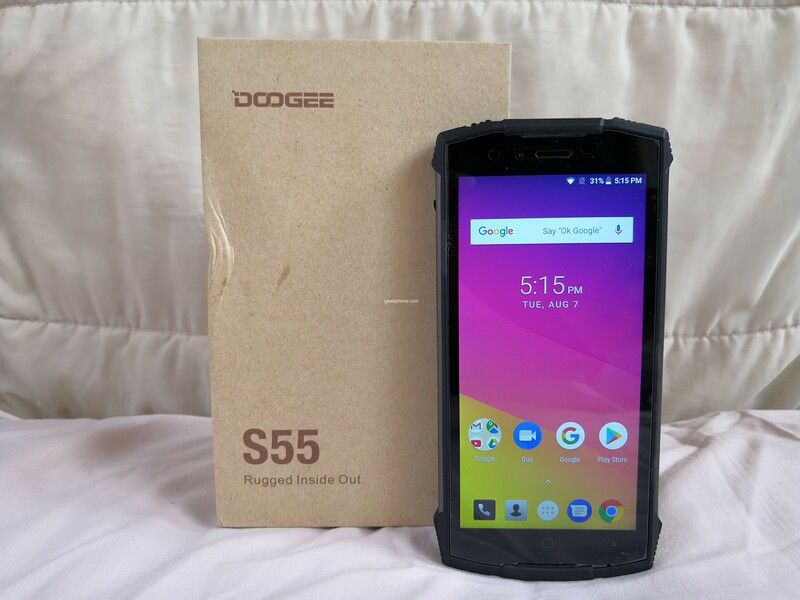 This is the Doogee S55, a smartphone with a rugged design at a very affordable price. For what it deserves a full analysis Keep reading and find out everything! 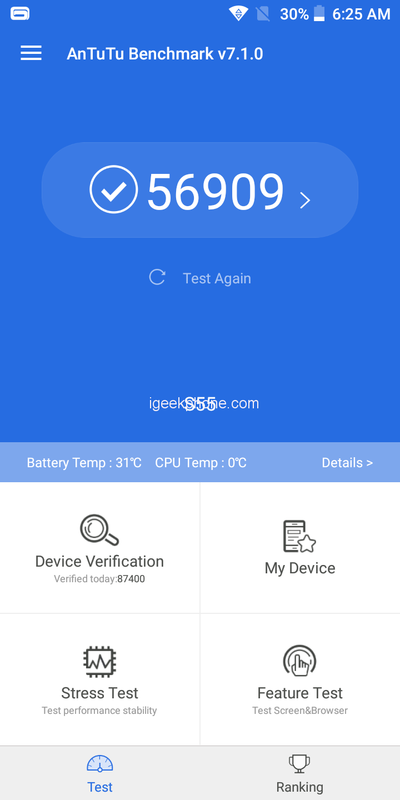 Now the time has come: Doogee provided us with a serial device for the test from the first patch. 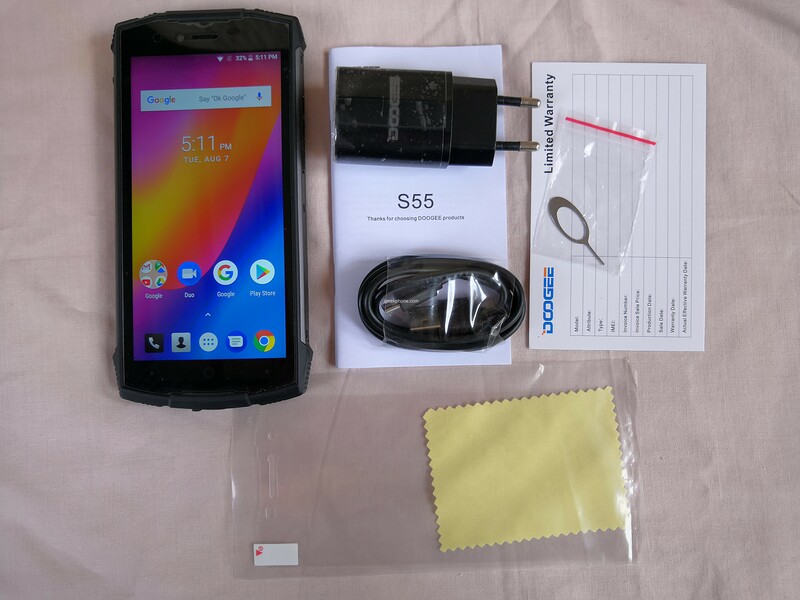 The Doogee S55 now completes the range of real outdoor smartphones of the Doogee model S. Whether the “55” now wants to divide the display or the large battery, does not seem to be quite sure. 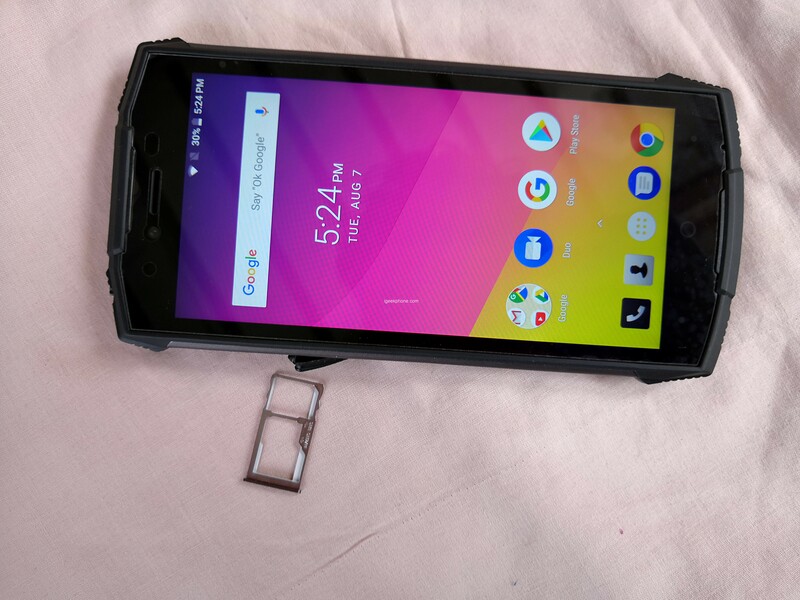 In any case, the Doogee S55 continues the series of mid-range outdoor smartphones with a large battery and classic “rubber plug” closure of all critical openings. Another attempt by Doogee to expand his reach. Whether it succeeds with the Doogee S55, ultimately decide the buyer, especially since even a lite version is in the starting blocks. 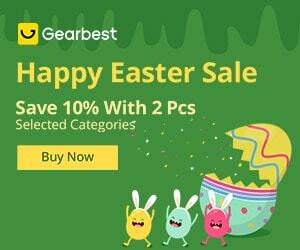 Doogee Brand already in all price categories launched smartphones with trend displays 18: 9. The company even has a phone with a battery of 12,000 mAh and screens in the entire front panel. Only the segment of protected gadgets remained intact. 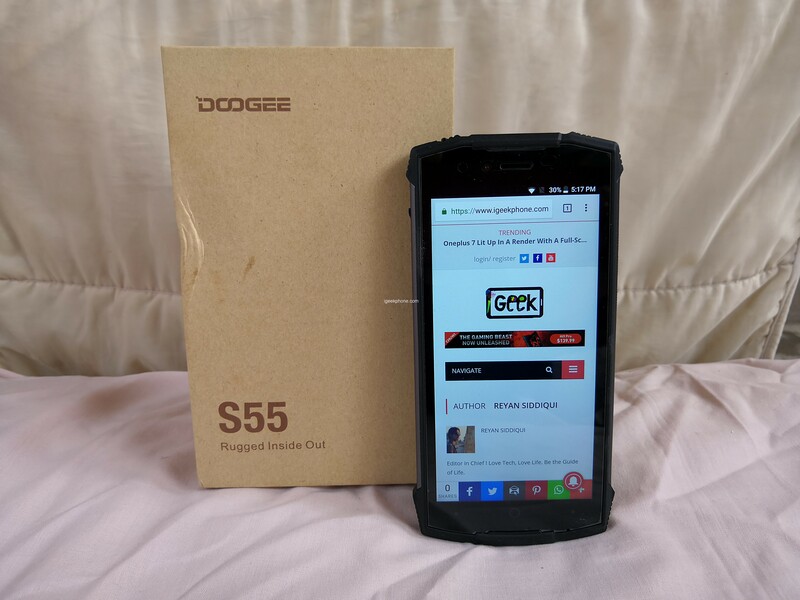 It then takes model Doogee S55, which will be discussed in more detail in this review. 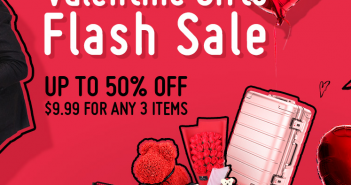 About performance, software stuffing and price will also be told. 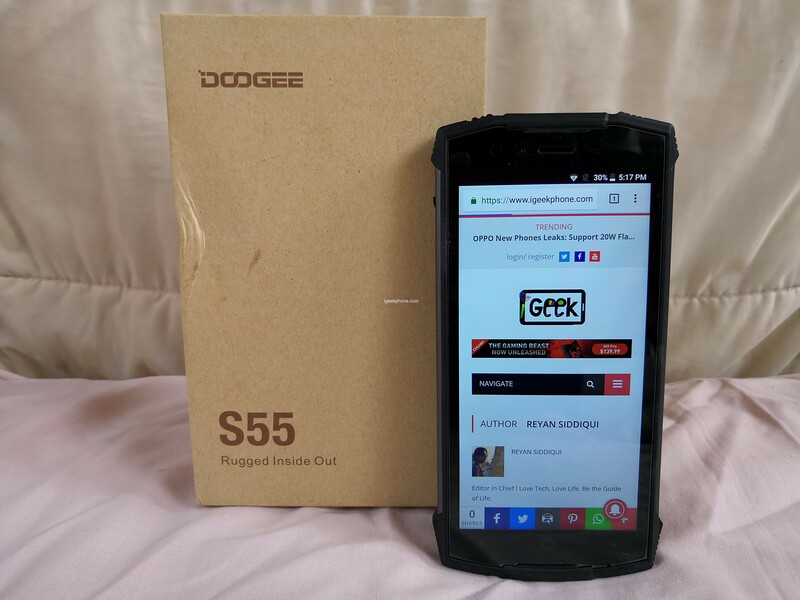 Before starting the review, we would like thanks to Doogee for sending us the Doogee S55 for Test. 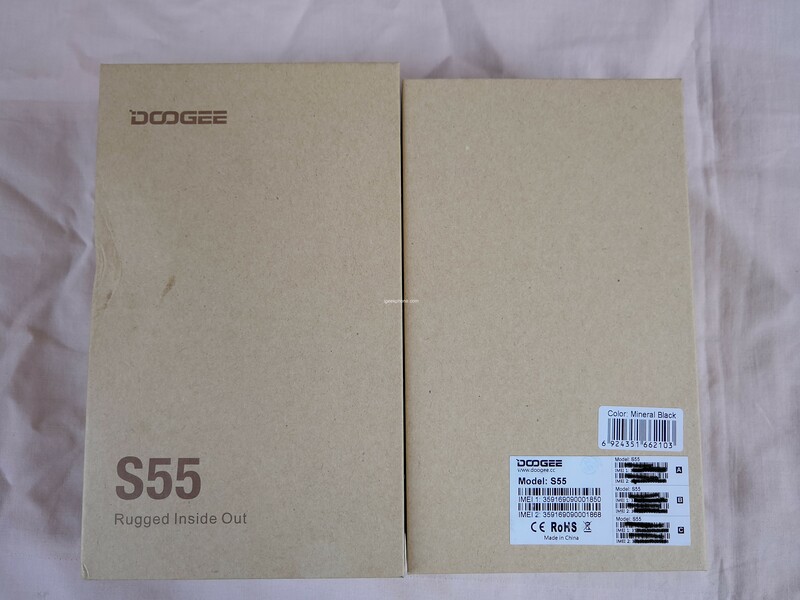 The DOOGEE S55 came in a box made of cardboard, which is provided with the manufacturer logo and the model name. On the back are the necessary CE instructions. 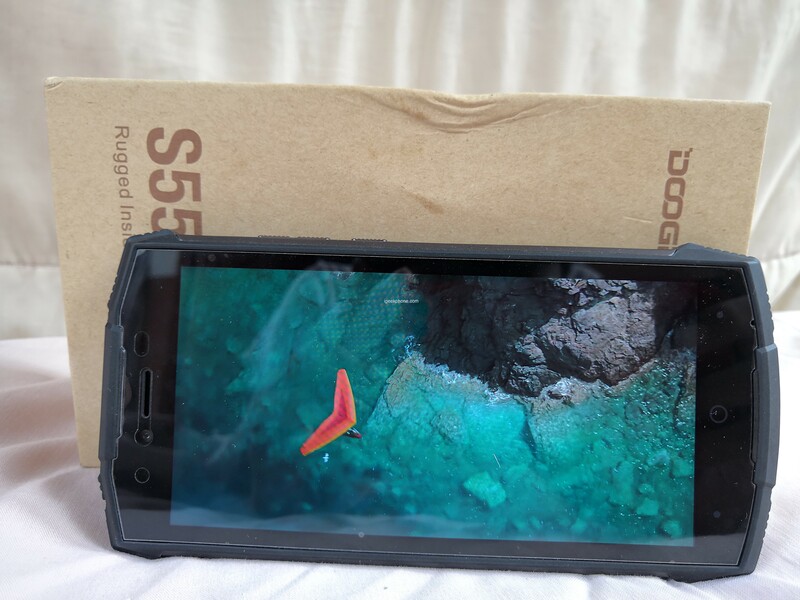 Doogee S55 is standard in terms of the package, but it will certainly surprise with the presence of a protective film in the box. 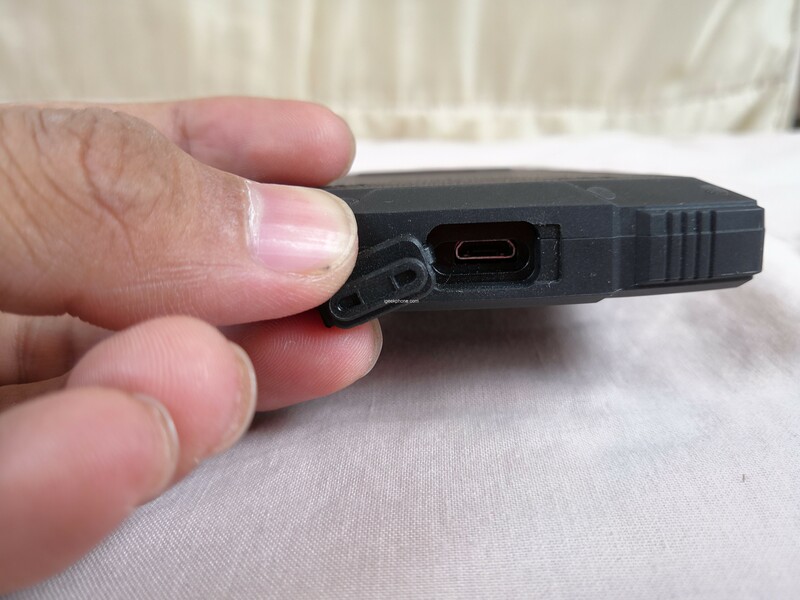 In addition to the 5V / 2A charger, a small user manual, and USB-microUSB cable, you can find a paper clip to remove the SIM tray, a film, and a napkin. To glue the protection or not, you decide, but remember that the smartphone is protected by the IP68 standard and it can be operated with increased loads. 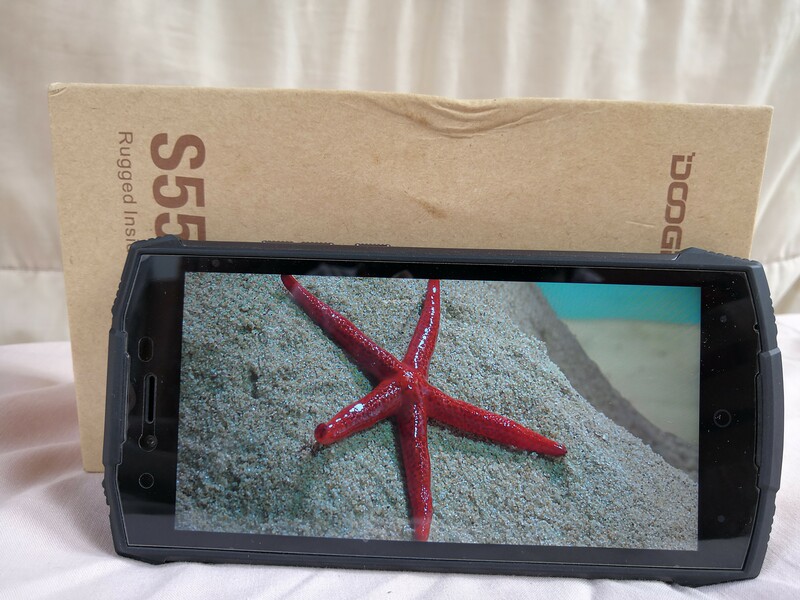 Typical for outdoor smartphones, the Doogee S55 is not a slim device. 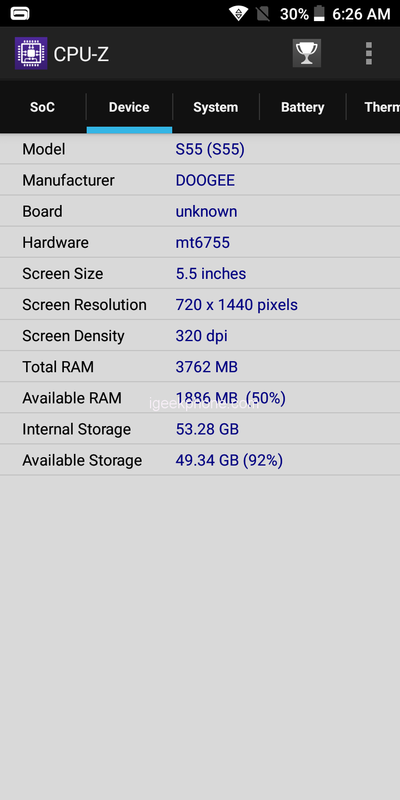 161.32*77.8*14.15mm and 265g heavy, the Doogee is thus absolutely in the average of this division. The S55 follows the current trend and also has an 18: 9 display, which makes the device look slimmer. 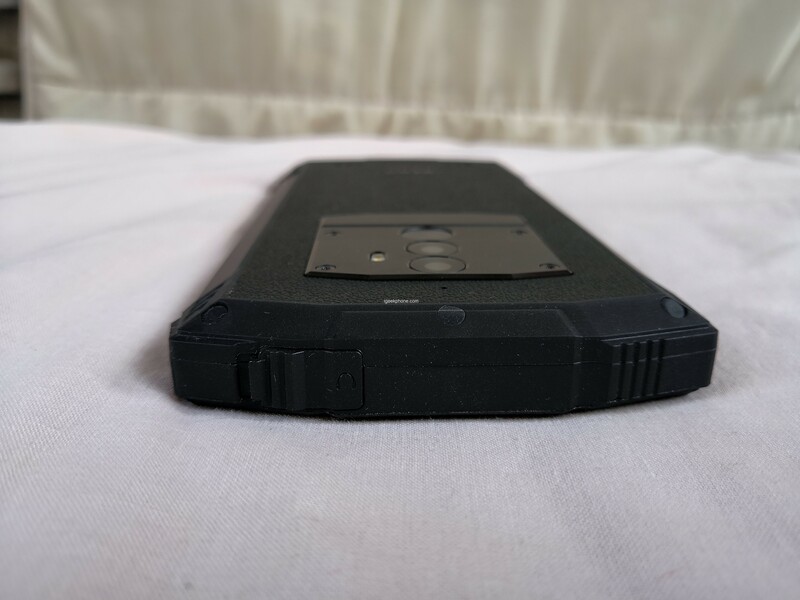 All outdoor smartphones have one thing in common, the thick housing made of a mix of plastic and rubber. As a result, all devices look quite similar, if not the same. By different accents, the manufacturers want to change this. 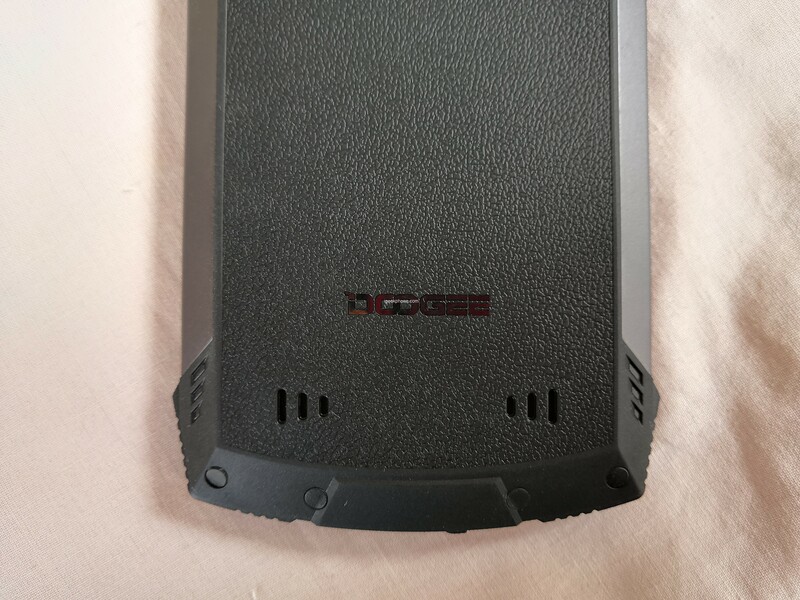 Design and workmanship of the Doogee S55 are characterized by the robust body. 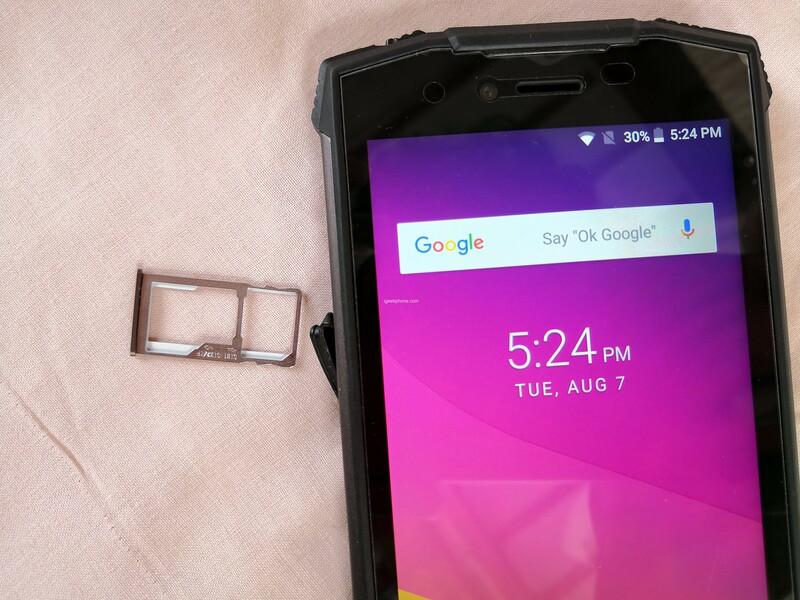 An aluminum alloy center frame with two metal planks screwed on makes the smartphone even stiffer, while the plastic top plus the floor protectors and a leather structure on the back increase the resistance to falls and scratches. Here is the slogan: “Robust from the inside out”. 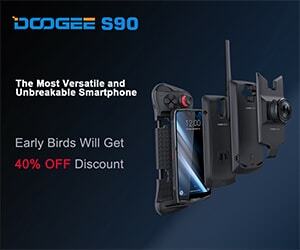 The smartphone offers Doogee in two color versions. Once with applications in the color “mineral black”, the other time in “fire orange”. The “Mineral black” version is tested. Users of the dual SIM standby technology then, unfortunately, have to do without using a microSD memory card, because there is no separate space for a memory card. This can only be used instead of the 2nd Nano SIM. The battery is not removable. On the front, above the display, you will find the proximity sensor, light sensor, a narrow earphone, LED Flashlight and the front camera. One looks for a Message LED in vain. The well-marked, unlit capacitive buttons work safely, but extend the smartphone a little. 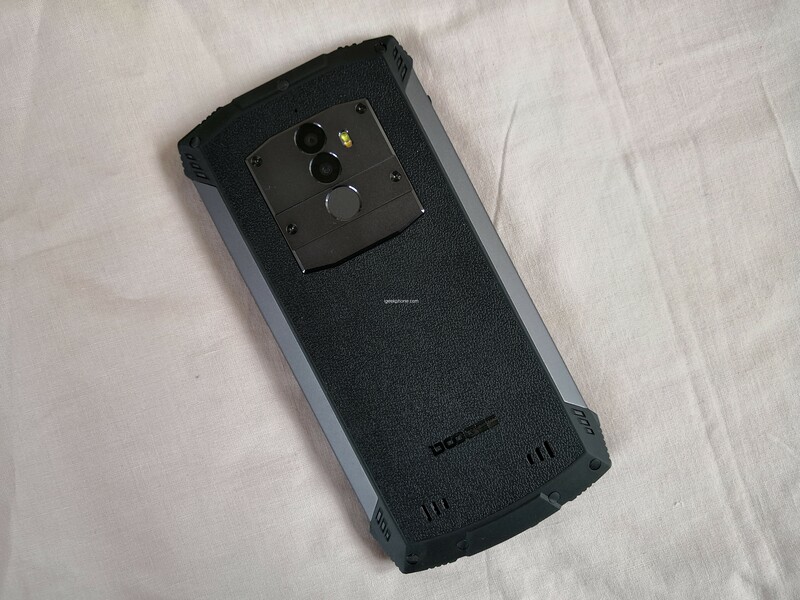 A metal application, which receives the camera module and the fingerprint sensor, dominates the back. The camera sits optimally in the middle, not too close to the edge. The dual-tone flash sits far enough away from the camera lens, fires synchronously during photography, so that flash photography succeeds well. 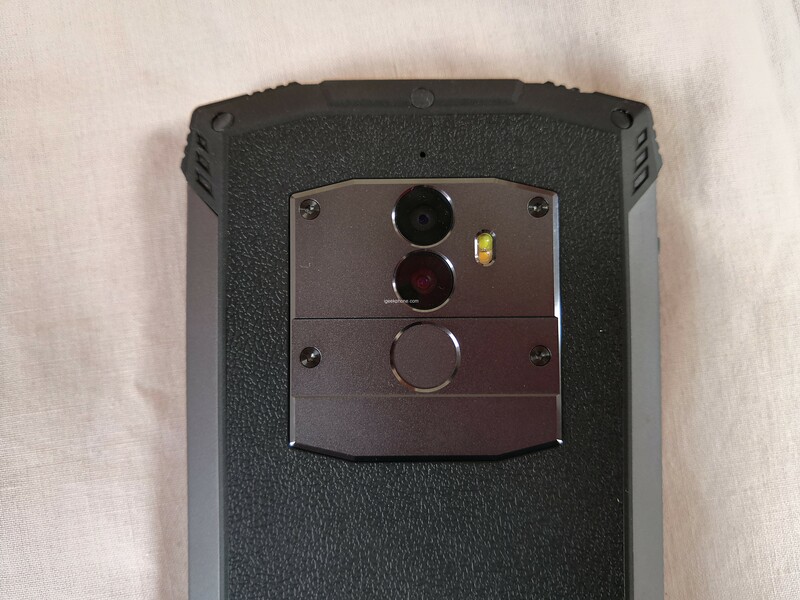 The fingerprint sensor located under the lenses of the camera sits in a slightly lower frame. Exactly that reduces the likelihood of confusion with one of the camera lenses when touching considerably. The speaker radiates through the left of the two openings on the back. 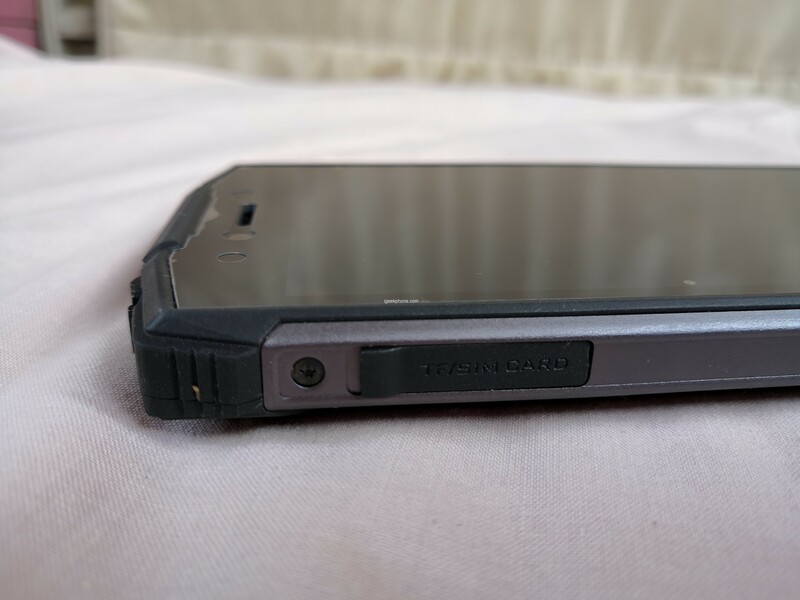 The volume and power buttons on the right side are easy to use. The centrally located at the bottom Micro USB socket is not too deep in the frame. Thus, both the USB, the OTG cable and the headset adapter do not require longer plugs, as is the case with many of these 18: 9 devices. The microphone opening is located at the bottom right on the front. 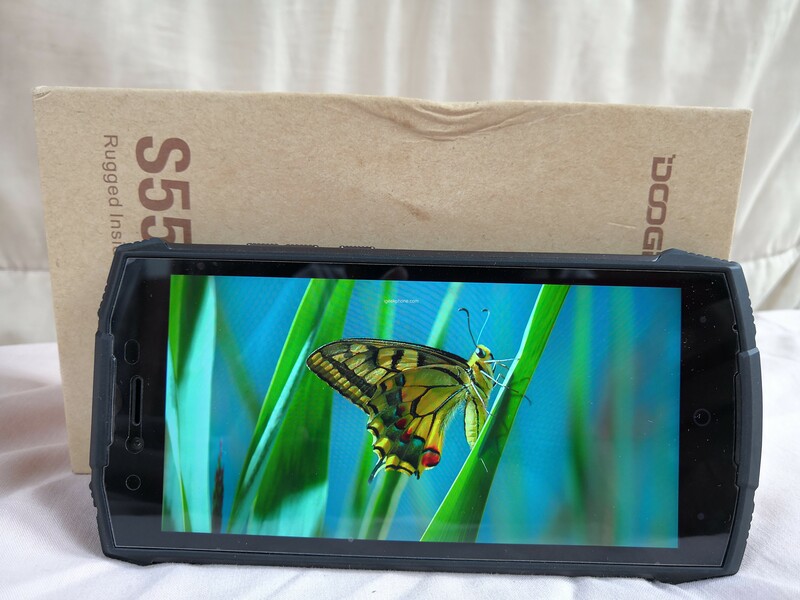 The display of the DOOGEE S55 is 5.5 inches tall and resolves with 1440 × 720 pixels (“HD +”). 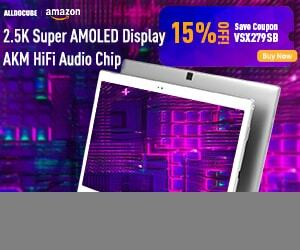 This corresponds to a pixel density of almost 292 PPI, which is sharp enough in everyday life, but of course, can not keep up with Full HD panels. 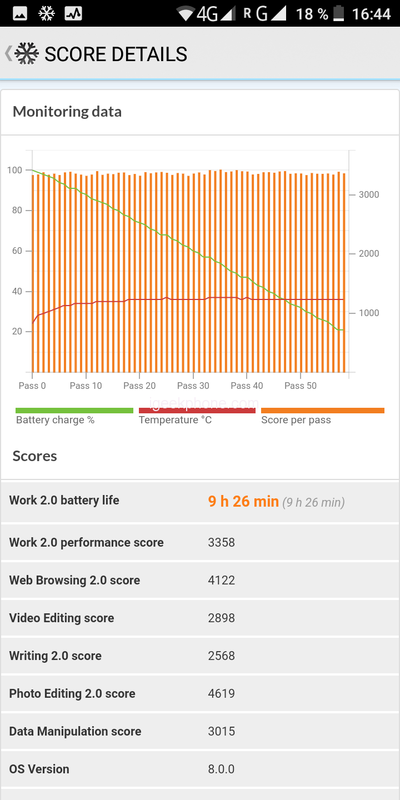 After all, the display is sufficiently bright but not brighter than the screens of normal “non-outdoor” smartphones. Even in direct sunlight, however, everything is easy to read. 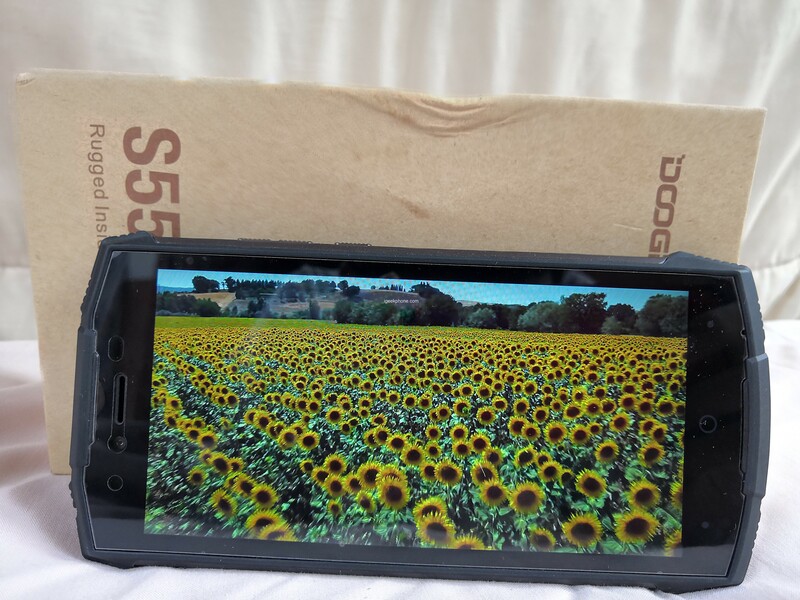 The viewing angle stability is excellent, even if I keep the DOOGEE S55 almost completely inclined, no shift of the colors is visible. The contrast levels are not negative, but you can not expect a wow effect like an OLED display. 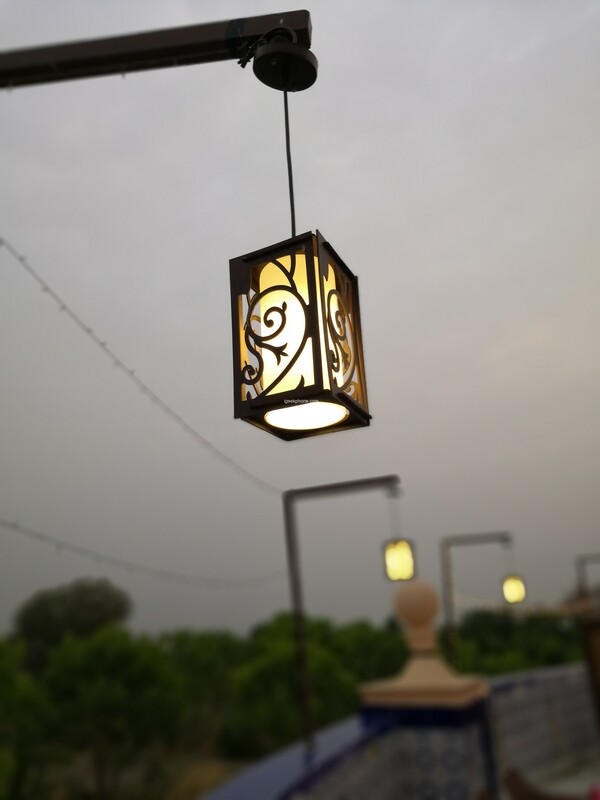 Unfortunately, the color temperature can not be adjusted in the settings. The touchscreen supports multi-touch with up to five points of contact and always reacts quickly. 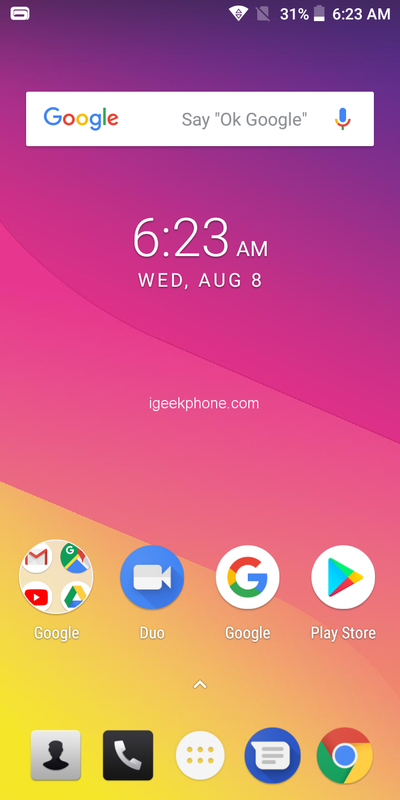 The display only starts via the on / off switch and via the fingerprint sensor – double-tapping on the screen or moving your hand over the front camera is not enough. 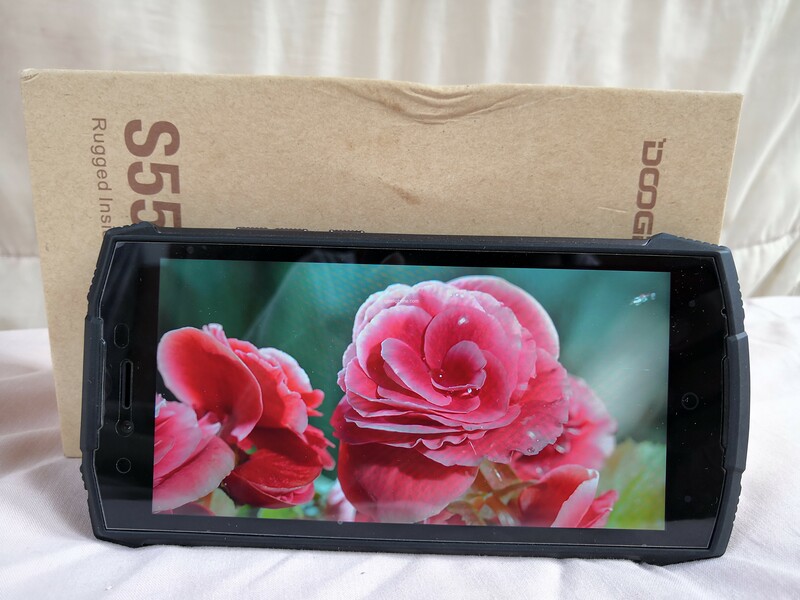 The display of the DOOGEE S55 thus convinces with a good contrast, a sufficient brightness and quite natural, but unfortunately not customizable colors. The resolution is also sufficient. 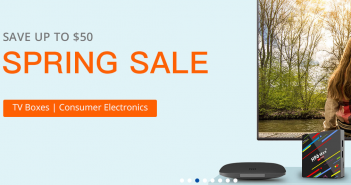 The MediaTek MT6750T chipset is a 64-bit system chip typically used for the entry-level and mid-range class. The measured values in all tests were rather lower than the average of SoCs. It should be clear that we only have the lower middle class here in terms of performance. The memory equipment with a 4GB LPDDR3 single-channel RAM, clocked with 833MHz and a 64GB large eMMC memory is very comfortable and does not always provide in practice for liquid work. Of these 64GB are the user 53.3GB at leisure. With this generous amount of data memory, the hybrid bay typically has problems when using the dual standby without a microSD card inserted. 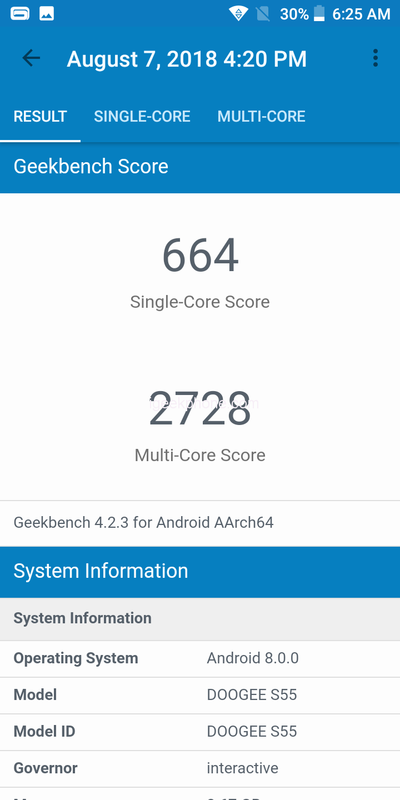 In the Antutu benchmark, the smartphone scored 56,909 points, while Geekbench rates the performance of a single core in 664 and multi-core in 2728 with the active work of all processors, which is comparable to Xiaomi Mi 4c on Snapdragon 808. 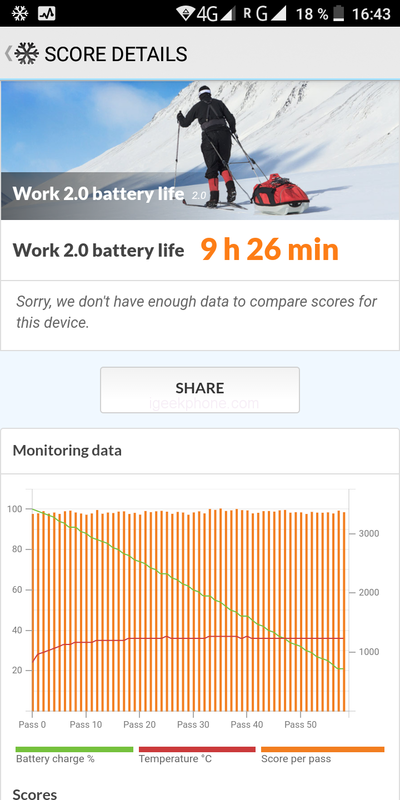 So, you do not have to worry about the performance of your gadget. He will be able to fulfill all his requests for video content and games. 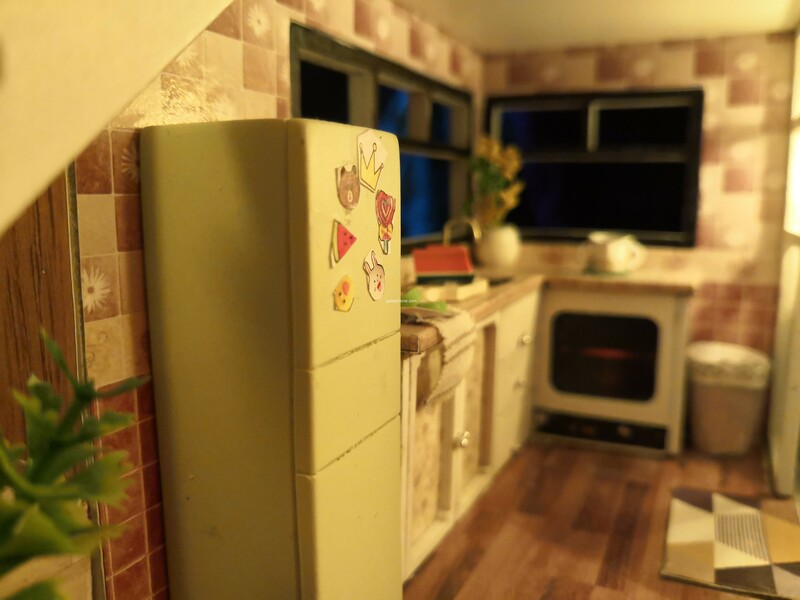 In 3D simulators, you do not always need to put the detail on the maximum, well, everything else is fine. 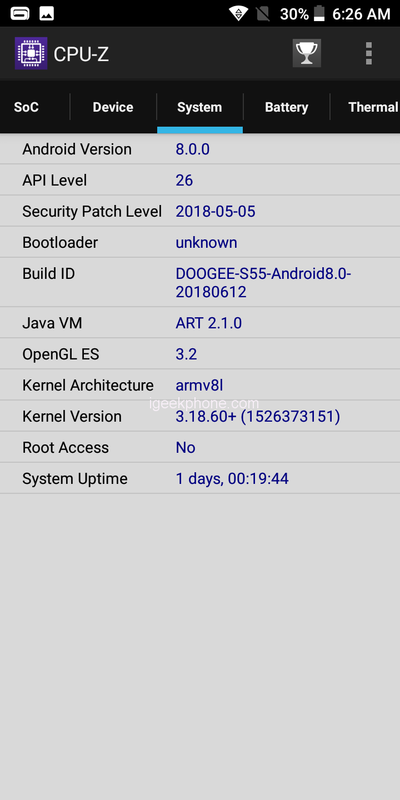 There is a smartphone running Android 8.1 and its own shell DoogeeOS V2.0.0. No more software, the user interface is simple, understandable and beautiful. Face recognition is implemented and works quickly. 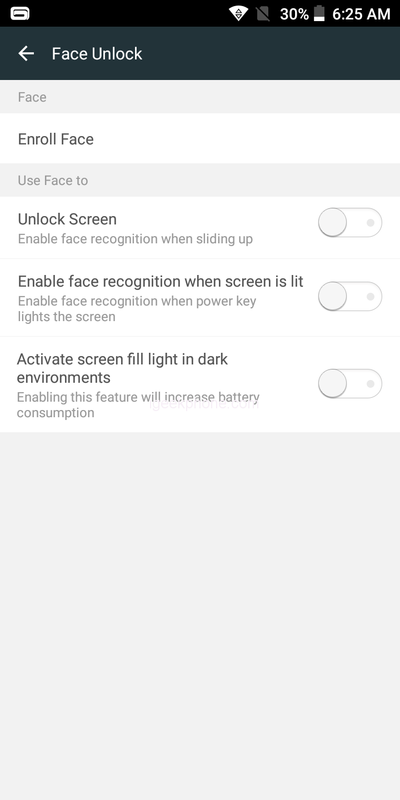 With good lighting, the FaceID option works without errors. There is no problem with the fingerprint scanner, which works just 0.19 seconds and can recognize the print even with a light touch. At the program level implemented control gestures in the air, touch the screen, and even inversion of the smartphone, for example, to mute an incoming call. The system works stably, and the interface quickly responds to user requests. At the end of the camera. 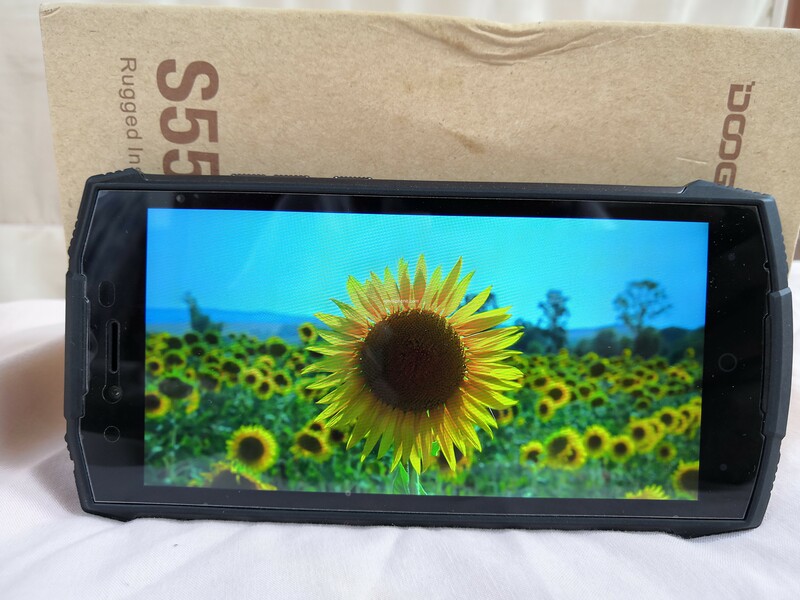 The dual main camera of the DOOGEE S55 uses a 13MP IMX135 Sony Exmor RS ™ CMOS sensor coupled with an f / 2.0 lens and a dual-tone LED flash. Videos can be shot in 1080p mode at 30fps. 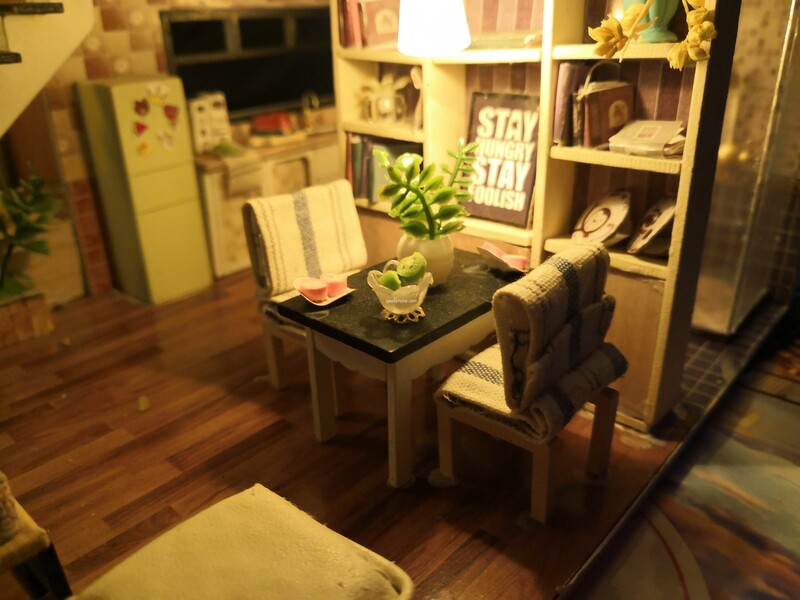 The PD autofocus works well. 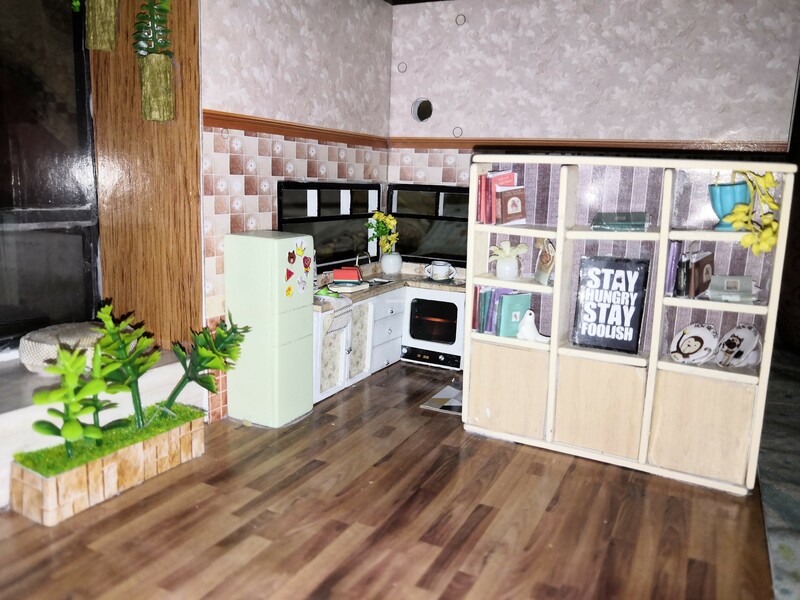 The detail in the remote shots is sufficient. other settings such as options for photo and video quality/resolution are also available. 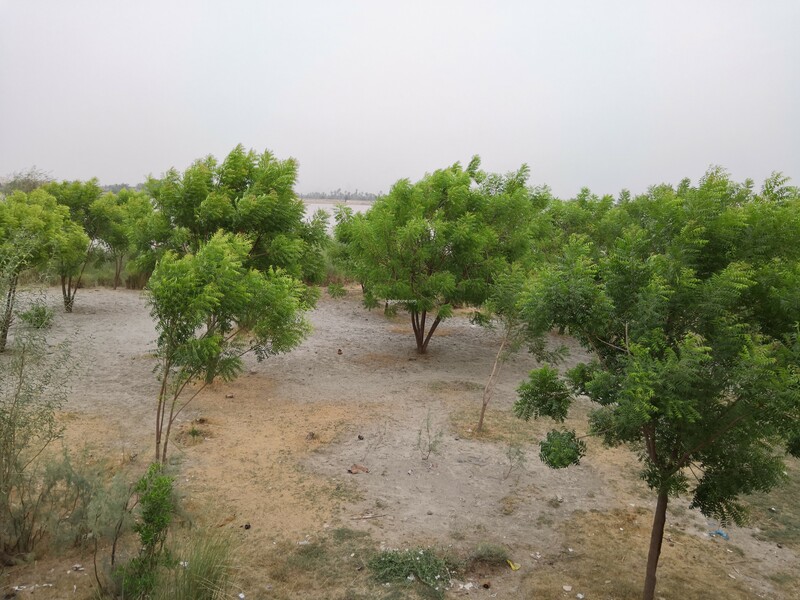 The various recording modes Normal, Panorama, HDR, Beauty, SLR, Child, Watermark, Large mode and QR Scan mode are called by dragging to the right. 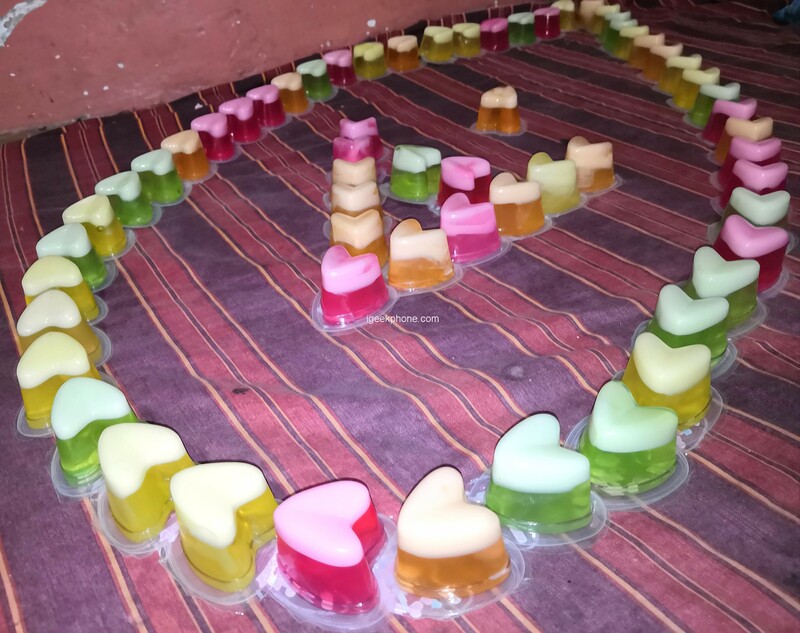 In the child mode, you can attract the attention of the child by means of different sound events to take a picture. In large mode, a widescreen landscape shot also succeeds. 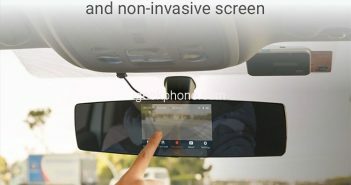 The rear camera should use in SLR mode according to the manufacturer an unspecified 8MP sensor with the ArcSoft algorithm, which should lead to a blur in the background. 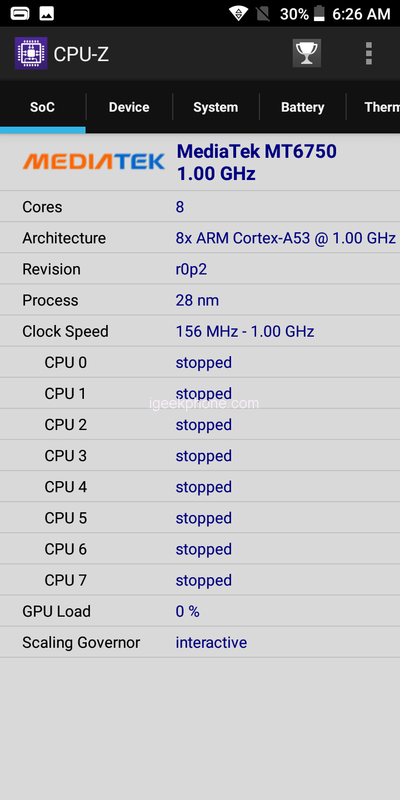 The kernel only has an additional 0.307MP GalaxyCore GC0310 integrated. Should it really exist in terms of hardware, its effect is only very minimal? The front camera uses an 8MP GalaxyCore GC8024 fixed aperture sensor an f / 2.8. This is also used for facial identification. Of course, the display must be active. HD (720p) video recordings are also possible with this cam. 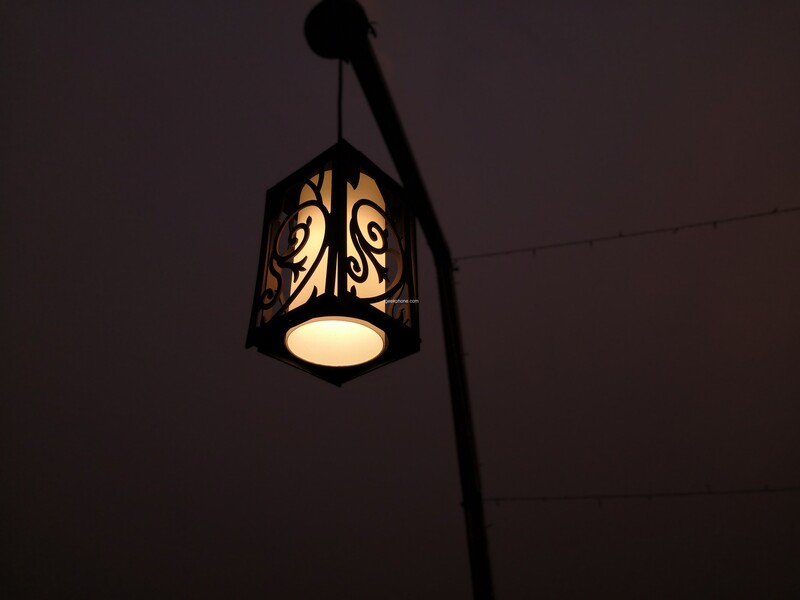 This camera is also supported when needed by a simple LED flash. Examples of content can be seen below. The speaker is placed behind the left opening in the back. The volume of the speaker is good. However, its sound quality is clearly marked by its resistance to water penetration (IP68). 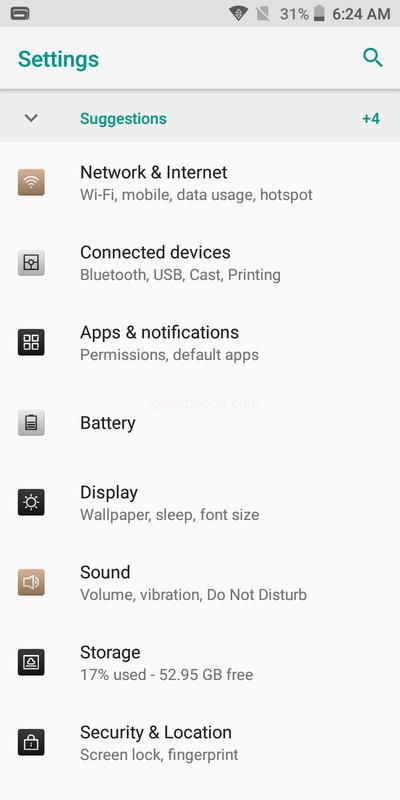 In order to get enough volume, you have to activate the option “BesLoudness” (volume boost for the loudspeaker) in the settings. 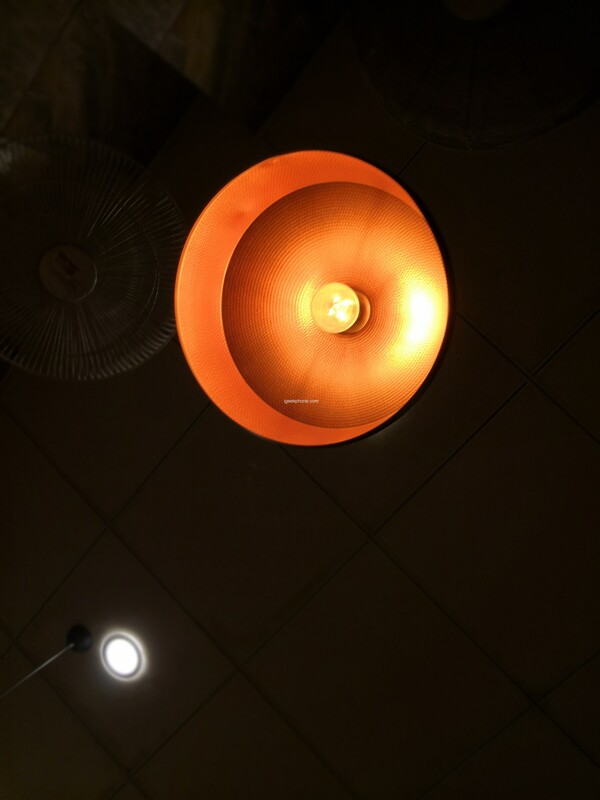 Thus, the loudspeaker sounds louder than in comparison without this enhancer, but also not better. After a water bath you should rid the speaker of the penetrated into the antechamber water, then it sounds clean again. In any case, a water bath will not harm this permanently. The voice quality during the call is mediocre. I hear the others and the participants also understand me. The sound quality of the speakerphone is sufficient and does not tend to “scratch” even at high volume. 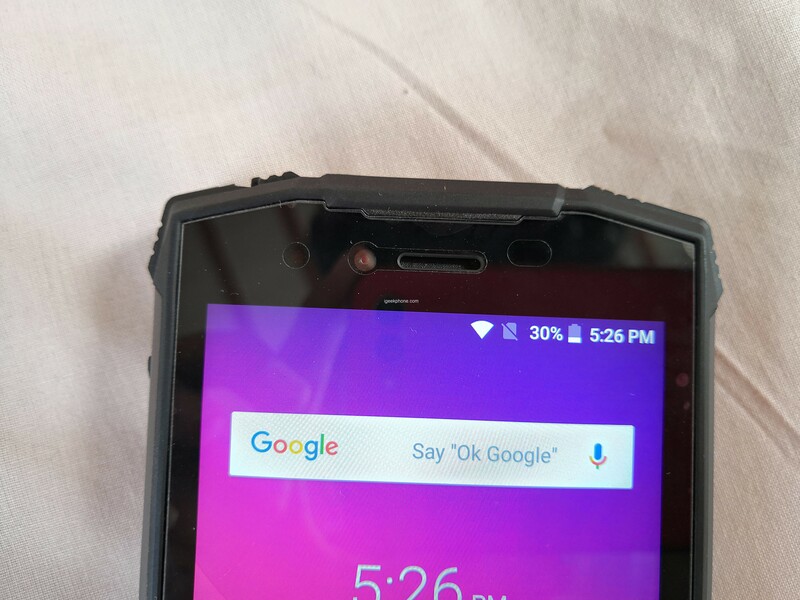 The DOOGEE S55 is a dual-sim Mobile. In principle, two sim cards can be used simultaneously, as long as you do without the second Sim slot. In addition, both sim cards can be used in the 4G network. This is particularly annoying because neither the dual SIM function nor the memory extension can be used on the device. 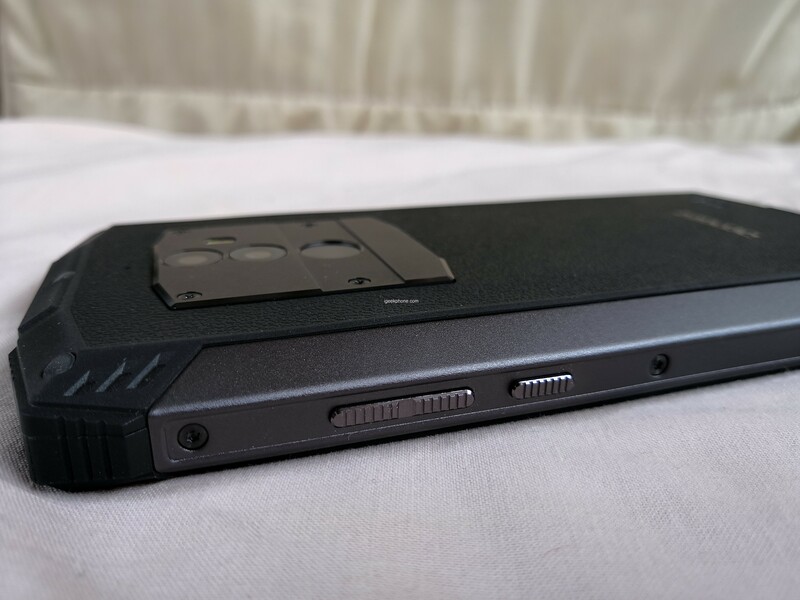 The only working slot is the one in which the MicroSD card could be inserted. 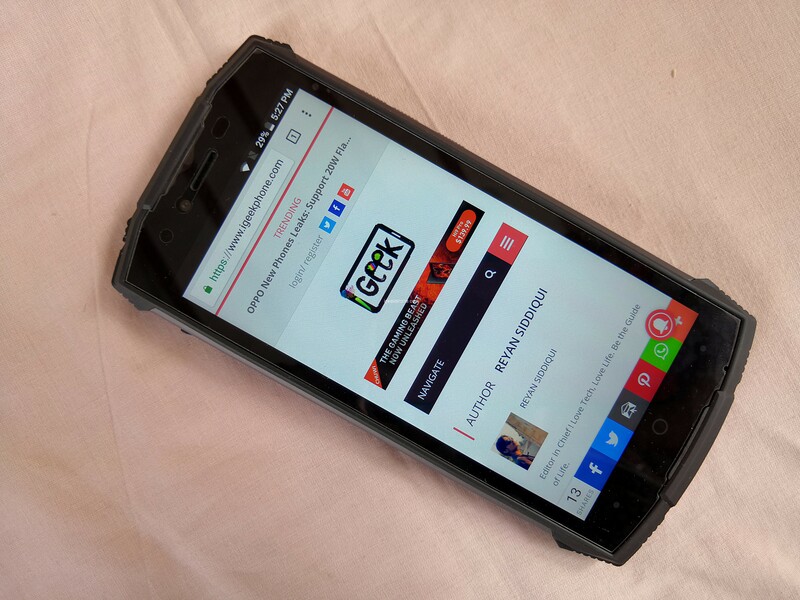 The device works with 2G GSM (850/900/1800 / 1900MHz), 3G WCDMA (900, 2100MHz) and 4G FDD-LTE (Band 1/3/7/8/20) network bands, The 4G uplink, and downlink speed is Cat. 4. If one can reasonably be satisfied with the call quality, the signal sensitivity measurements are convincing. These are above average in all areas. 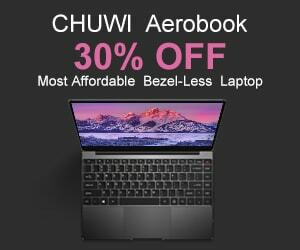 Neither the Wi-Fi connection nor other supported connection types have serious problems. FDD-LTE Volume 8 and Volume 20 are supported. 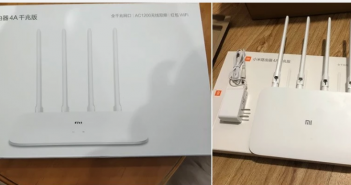 The smartphone supports dual-band Wi-Fi 802.11 a / b / g / n, Wi-Fi hotspot, Wi-Fi Direct, Bluetooth 4.0. All connections are sufficiently sensitive. 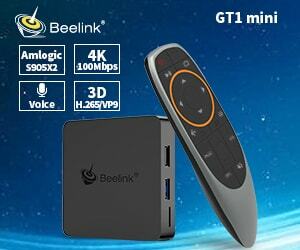 It has a micro USB port which also supports OTG. To use a headset, there is no need for a USB adapter as there is a 3.5mm jack. Also, the sensitivity of the FM receiver is good. Telephoning via WLAN or VoLTE are not implemented. The satellite positioning system processes GPS and GLONASS signals. It works fast in the detection of satellite signals. The sensitivity and accuracy are also very good. With clear view accuracies around the 1-2m were not uncommon. A 200km on-line navigation with Google Maps was completely trouble-free. The offered Miracast function for transferring the screen via WLAN, we could not prove, unfortunately. The manufacturer indicates a value of 5,500 mAh as the nominal capacity for the internal Li-polymer battery. 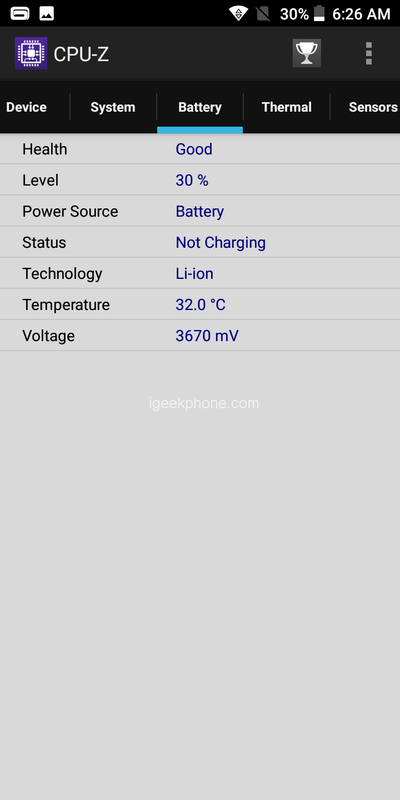 According to the manufacturer, the battery is paired with a 5V / 2A quick charger. When using the original accessories, however, this 2A could not be achieved. There was a maximum of only about 1.8A. 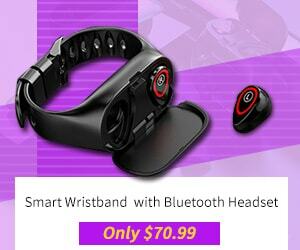 Using the original accessories, the smartphone could be fully recharged within about 3.5 hours. 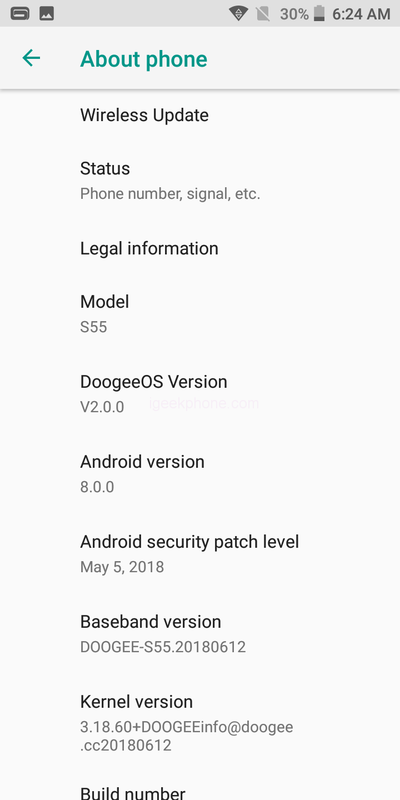 The DOOGEE S55 ships with the preinstalled System Manager app, which also includes Power Management. 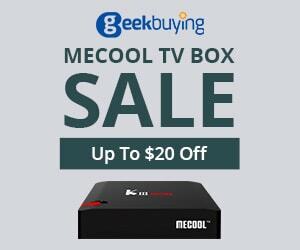 This feature recognizes three different types of power modes: Super Power, Smart Saving Mode, and Power Monitor. 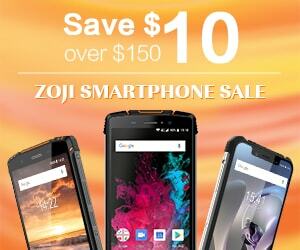 Anyone who needs a handy, sturdy smartphone with good battery performance is in good hands here. 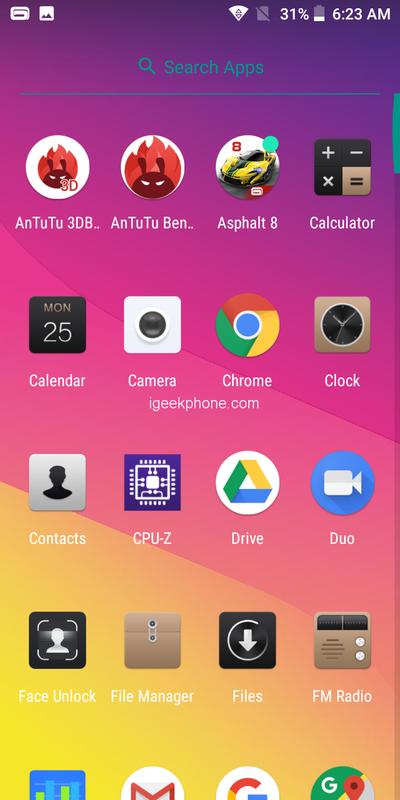 So it is also in the currently very popular display format of 18: 9. 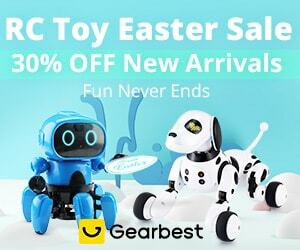 The robustness and the great battery life are also accompanied by plenty of memory and plenty of sensors. 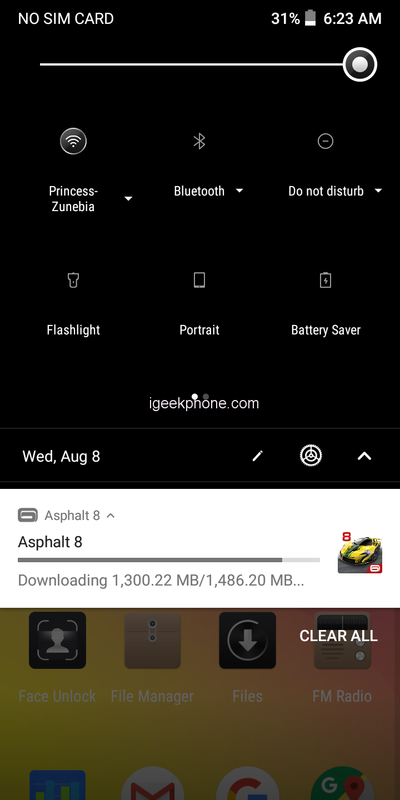 Even an Android 8 comes with it, albeit not in the latest version Android 8.1. A well-lit 5.5-inch display and fingerprint identification also increase the performance characteristics praiseworthy. Peak values can be achieved by all receivers including the satellite navigation receiver. Also, the Sony rear camera is good for everyday use, although synonymous here, the SLR mode is a fake and not the result of a second sensor. 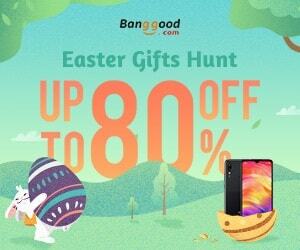 Right Now we can buy DOOGEE S55 from Banggood at $149.99. For More Information You can visit on Official DOOGEE Website Here.